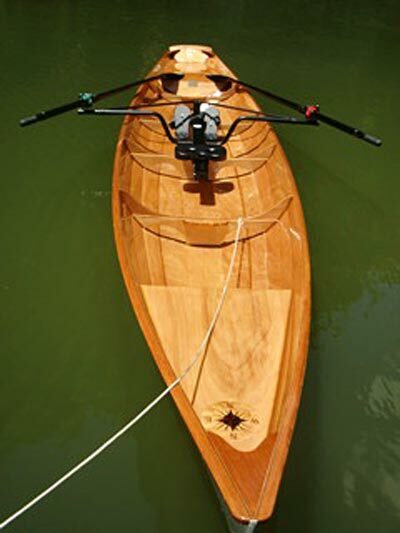 John Parrish built this Tandem Annapolis Wherry from a kit by Chesapeake Light Craft. He writes that at 19′10″, it is 3′ longer than the one-man version of the same boat, and that it was the first one that CLC put into kit form. He adds that the crew at CLC was still writing the construction manual as John was building his boat, and they were very helpful as they emailed him each new part of the manual as it became available. 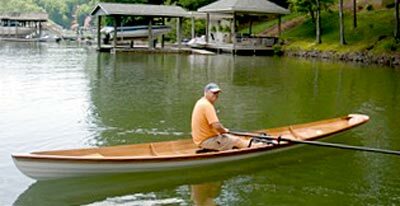 He named the boat SUSIE Q after his wife, and John and Susie enjoy rowing their wherry on Smith Mountain Lake in Virginia, sometimes for exercise, sometimes for pleasure, and sometimes for both.